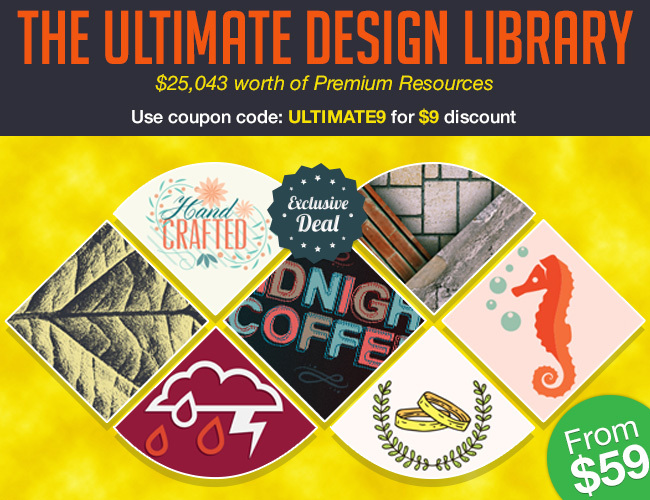 Inky Deals came up with a ginormous bundle, The Ultimate Design Library: $25,088 worth of Premium RF Resources – From $59 and because they’re our friends, you can grab it with an exclusive $9 discount coupon! Use the code: ULTIMATE9 at checkout. Download a free sample and test it as you want! Just click on the ‘Download’ button for an instant download!